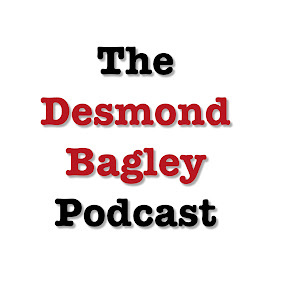 Desmond Bagley wrote sixteen novels, fourteen of which were published in his lifetime by Collins Publishers of London. His widow, Joan Magaret Bagley completed and oversaw the posthumous publication of two further novels, Night of Error and Juggernaut. A further unpublished novel Domino Island, written under the working title ‘Because Salton Died’ is due to be published by HarperCollins in 2019. The novels have been translated into more than thirty languages with five being realised as film and television productions: The Freedom Trap, released in 1973 by Warner Brothers as The Mackintosh Man; Running Blind, adapted for television in a three-part series by BBC Scotland, 1979; Landslide, Northern Screen U.K. Ltd., 1992; The Vivero Letter, released in 1999 by Promark Entertainment Group as Forgotten City; The Enemy, Carousel Picture Company, 2001. Explore the novels of Desmond Bagley including first edition covers and original publishers ‘blurb’.